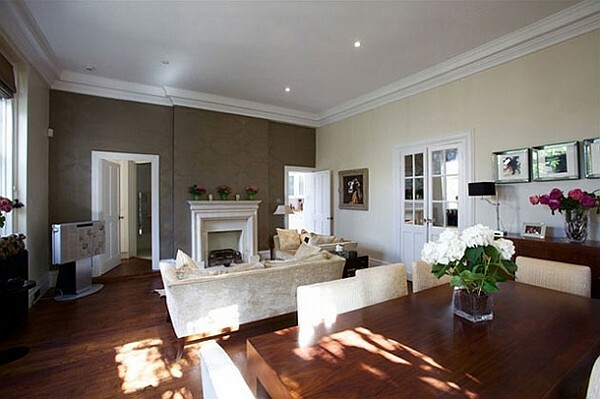 This elegant apartment is on the edge of Ham common, 20 minutes from the centre of London on the Waterloo line. The courtyard flat is incredibly elegant with period features and luxury touches such as fresh flowers, floor to ceiling library, claw food bath and champagne waiting for you on your arrival. It is ideally situated a short walk or bus ride from Richmond Station giving you easy access to all the sights London has to offer. 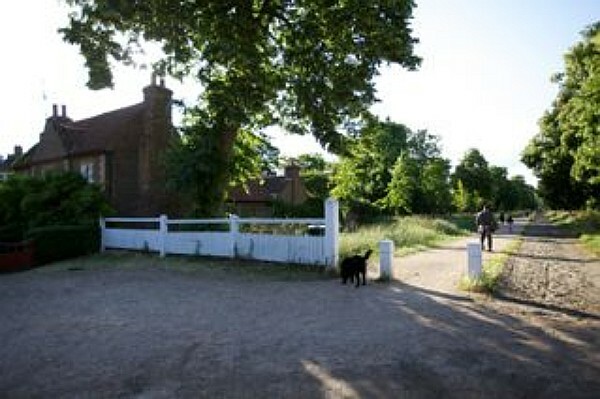 It’s also great for dogs as it is on the edge of Ham Common and is within easy walking distance of the Thames and Richmond Park. Everything you may want has been thought of for you such as freshly cut flowers, fluffy dressing gowns, hair dryers and straightners, DVD library, an extensive range of kitchen appliances and even an Apple Mac computer for you to use. Living/Dining Room – Is a spacious area with big cream sofas, an elegant dining table and contemporary art adorning the walls. 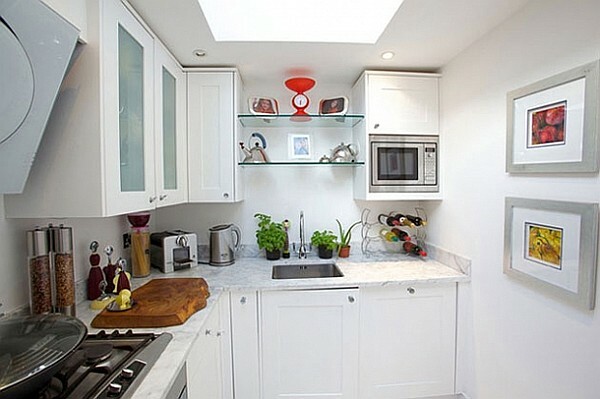 Kitchen – Is a compact very well equipped kitchen. 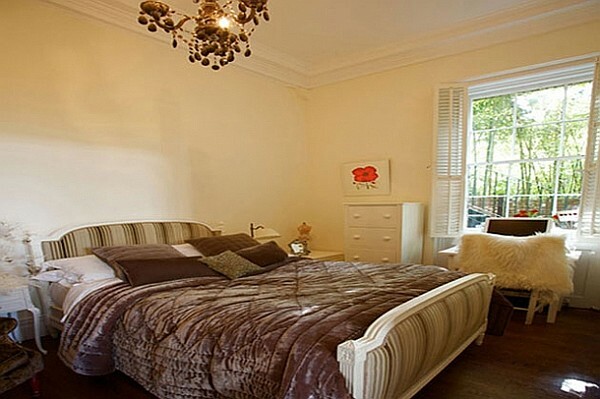 Bedroom – Mirrored doors lead you through into the contemporary French feeling bedroom with chandelier and double bed. 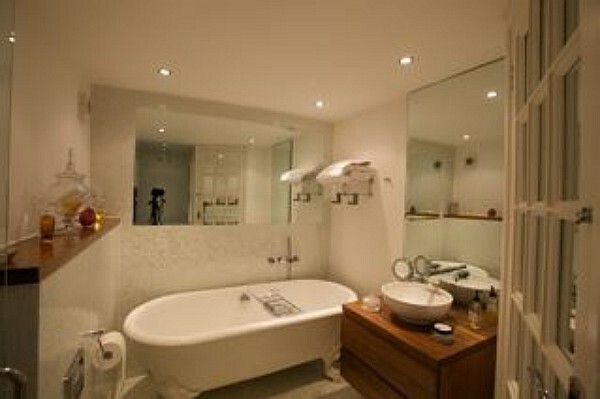 Bathroom – With a luxury rain shower and claw foot bath. 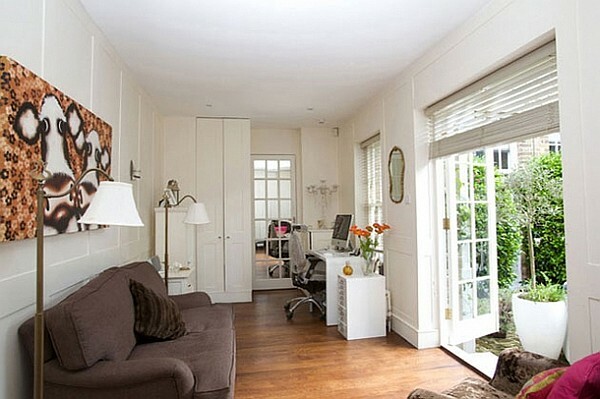 Second Living Room – With a comfy sofa bed and French doors leading out onto the courtyard garden. There is also an occasional chair bed. 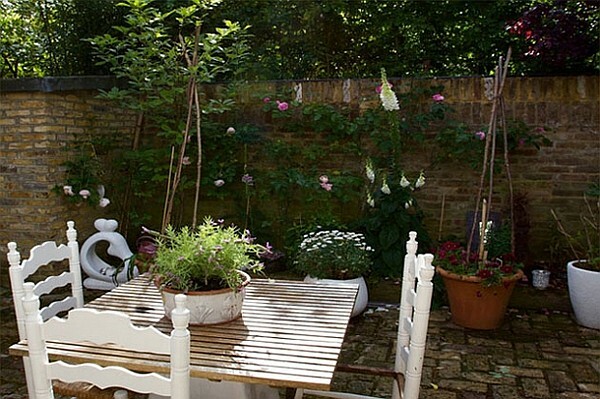 There is a charming courtyard garden with a BBQ and outdoor dining furniture. 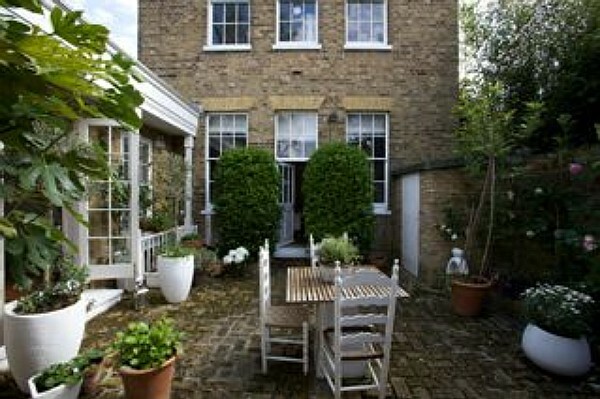 Ham and Richmond - Both are within walking distance and have a range of shops, restaurants and pubs. From Richmond you can catch the underground to central London, Ascot, Windsor and Eton. There is also a bus stop 150 yards from the flat which can take you to Twickenham, Heathrow and Hampton Court. Kingston Upon Thames - The apartment is 2km from the historic market town of Kingston upon Thames with its excellent shopping centre and rich variety of attractions on its doorstep including two Royal Parks (Richmond and Bushy) and numerous historic houses and gardens. Windsor Castle – (19m) the bus stop close to the flat will take you to Windsor where you can explore the impressive royal Windsor castle and parkland. 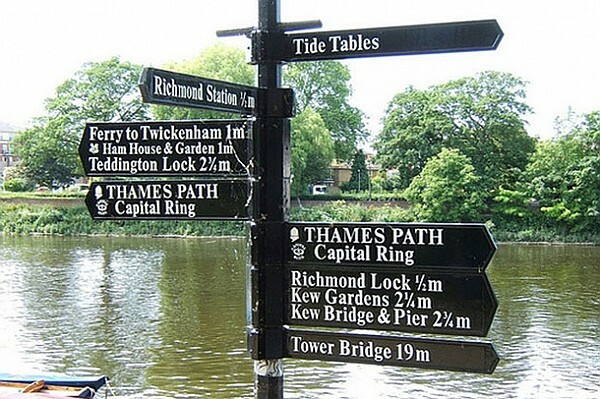 Richmond Park – (1/2m) you can reach Richmond on foot by taking the tow-path. Richmond Park is the largest of the Royal parks and is now a Site of Special Scientific Interest. Petersham Polo Ground – (1/2m) the last remaining polo club in London is within walking distance of the flat. 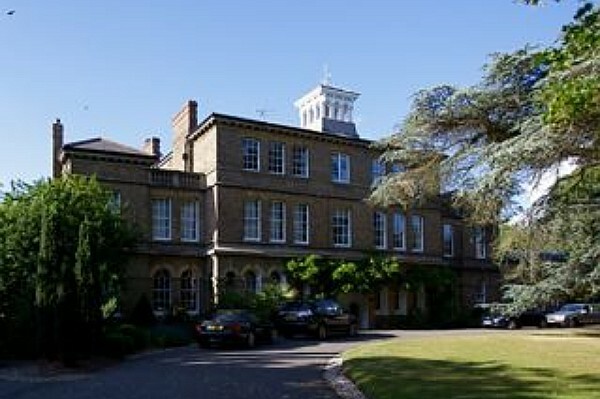 Syon House and Park – (4m) during the summer months this impressive house and beautiful gardens are open to the public. Hampton Court Palace – (4m) this royal palace is easily visited from the flat and makes for a full day out with its lovely gardens and extensive exhibitions. It is also the home of the very popular Hampton Court Flower Show which is held in July each year. Kew Gardens – (4m) The Royal Botanical Gardens has so much to offer all the family including adventure playgrounds, glasshouses, a treetop walk and even an aquarium. Wimbledon – (4m) famous for its Tennis tournament during June each year is also a charming village within the City. It is easily accessible from the flat. The Michelin starred Petersham Cafe is 5 minutes away and is well worth a visit. There are a dog groomers and several lovely dog walkers close by, there is also a highly recommended pet sitting service if you want to go sightseeing for a whole day. Dog’s whiskers (who are just down the road) offer both sitting and grooming services so not only will they take your dog for the day but send him home looking very smart! The flat has its own dog crate, biscuits, and drinking bowl. We are very happy to have dogs stay at 1a Southlodge but have a couple of rules which we'd be grateful if you could adhere to. Please do not leave your dogs in the flat for longer than a few hours as they can become distressed in unfamiliar surroundings. Please ensure your dog is house trained and do not allow them on the furniture. There is charge of £50 per week for dogs and an additional £100 damage deposit, the deposit is then returned to you if there is no damage, extra laundry or cleaning costs. Bookings are secured with a £500pw deposit. There is an additional charge of £50 per dog pw and an additional security deposit of £100, if there are no extra cleaning costs incurred or damage this deposit will be returned to you in full. 1a Southlodge can accommodate one large dog or two smaller dogs.